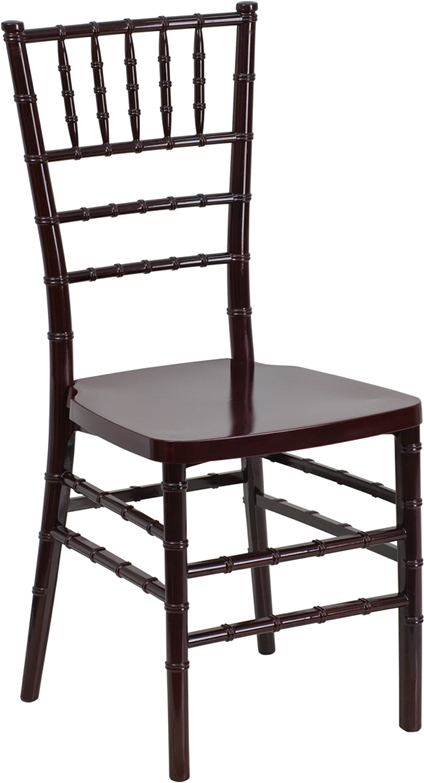 This resin chiavari ballroom chair has a mahogany finish. The mahogany will look good with many decors. Designed for Outdoor, but suitable for indoor use.